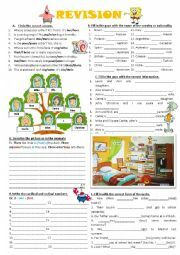 Present Perfect vs. Past Simple Last time I uploaded this worksheet, I didn´t notice that there were watermarked cliparts in it. I´m sorry. I´ve replaced them. 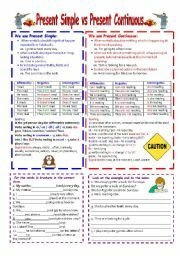 So if you´ve downloaded the previous ILLEGAL version of this worksheet, make sure to change it with this one. 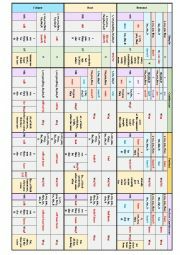 Revision (to be, have got, there is/there are, possessive adjectives and possessive pronouns, plurals, prepositions of time, must / mustn´t, english tenses. 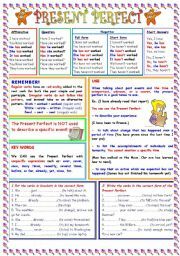 A revision worksheet to revise to be, have got, there is/there are, possessive adjectives and possessive pronouns, plurals, prepositions of time, must / mustn´t, english tenses. 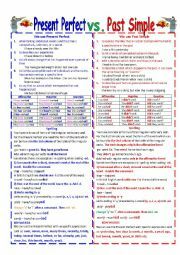 English verb tenses table. I tried to make it as clear as possible. 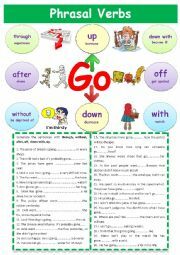 A worksheet on phrasal verb "Go"
Students work in pairs.The first partner gets page 1 and the second one gets page 2. One of them describes the picture while the other checks his answers. Then they reverse roles. 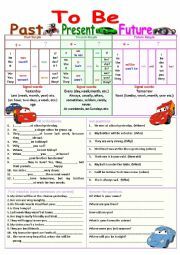 My second Present Perfect worksheet. 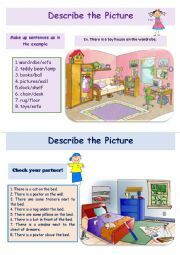 A fun game to play at the lesson when you discuss the differences between men and women. 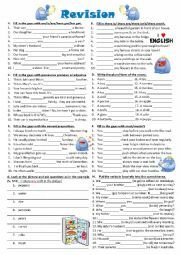 Indefinite Articles, Dialogues, Right or Wrong Game, Guess the Word.